Vetmom00 replied to the thread How long can you stay on this diet?. Elizabeth Swartz posted the thread Top 10 Tools To Help You On Your Psmf Diet in Website Articles. 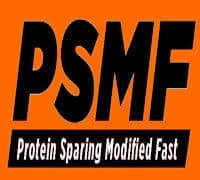 Elizabeth Swartz replied to the thread PSMF Recipe Book. Beth Johnson replied to the thread PSMF Recipe Book. Beth Johnson posted the thread Psmf Starting After Diet Break...Struggling in PSMF General Discussion. Beth Johnson replied to the thread How long can you stay on this diet?.